SPARC: IWD2017 Be Bold for Change! We are honoured to work with passionate partners who work tirelessly for girls and women! 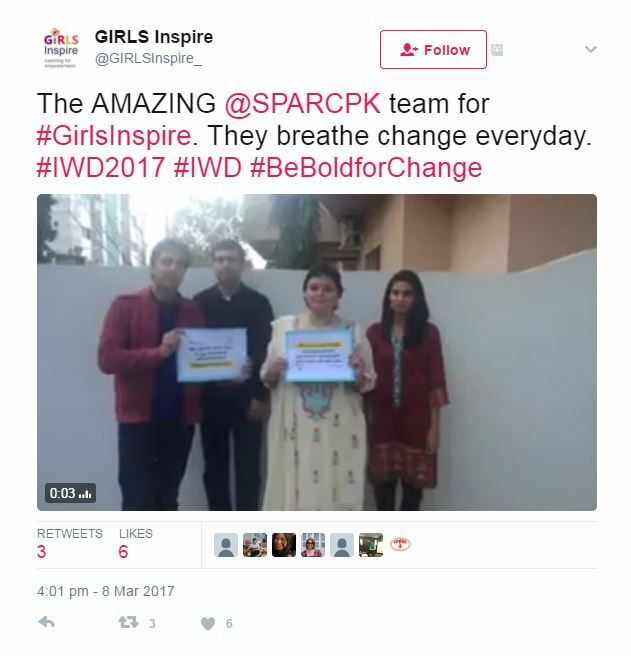 Click here to view on Twitter how our SPARC team in Pakistan is pledging to #BeBoldforChange! View more pledges at International Women’s Day from women and girls at SPARC on our Facebook page. To learn more about our work in Pakistan, click here.